We service our automobiles regularly and for good reason – we are in them daily. But in most cases regular maintenance of our Heating and Air Conditioning systems can often be forgotten – until they fail. 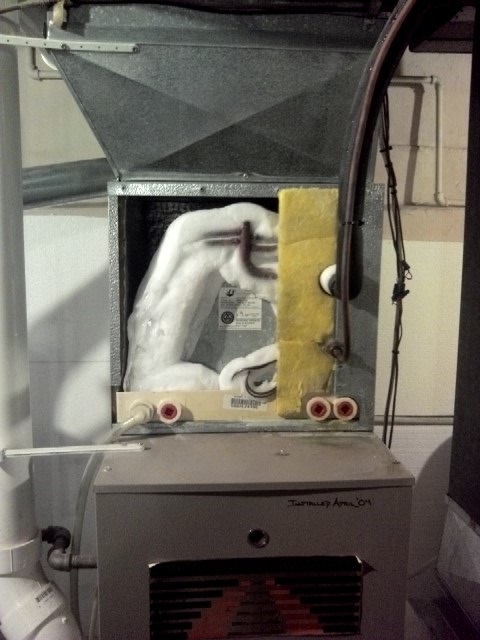 Regular maintenance checks should consist of condenser and coil inspections, filter inspection and replacement as well as coolant levels and leak tests.Some inspections could also include thermostat function and air flow balance from room to room. Check out the ice formed around the AC Coil! In the middle of this picture you can see the ice around the copper tubing. This is not normal! Improve System Efficiency: Regular air conditioning tune-ups can make your system run at or near original factory specifications,depending on the age and condition of your system. Save Money: When cooling equipment runs efficiently it doesn’t have to run as long to do the job, so you save a lot on utility bills. Catch Problems Early: Potential problems, if caught early can eliminate the need for larger, costlier repairs. Help Avoid Untimely Breakdowns: Issues with your system can happen at the worst times. Our system checks allow potential problems to be repaired and keeps your units running efficiently. This results in a more reliable system and decreases the chances of an inconvenient break-down during the peak of a heat wave. Add Longer Life To Your Systems: Properly maintained units don’t have to work as hard to cool your home. Less wear and tear on your unit, means a longer equipment lifespan. 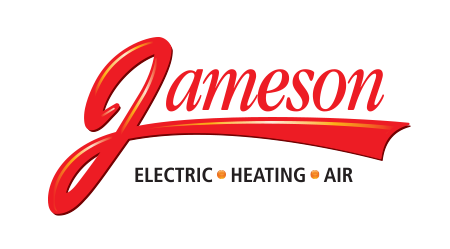 At Jameson Electric Heating &Air we believe in the importance of annual system check-ups especially in the Buffalo NY area. 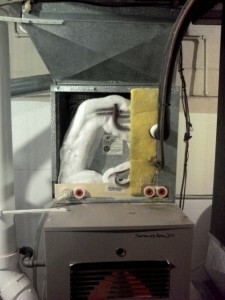 We take the worry out of your heating & cooling seasons. How Old Is My Air Conditioning Unit?